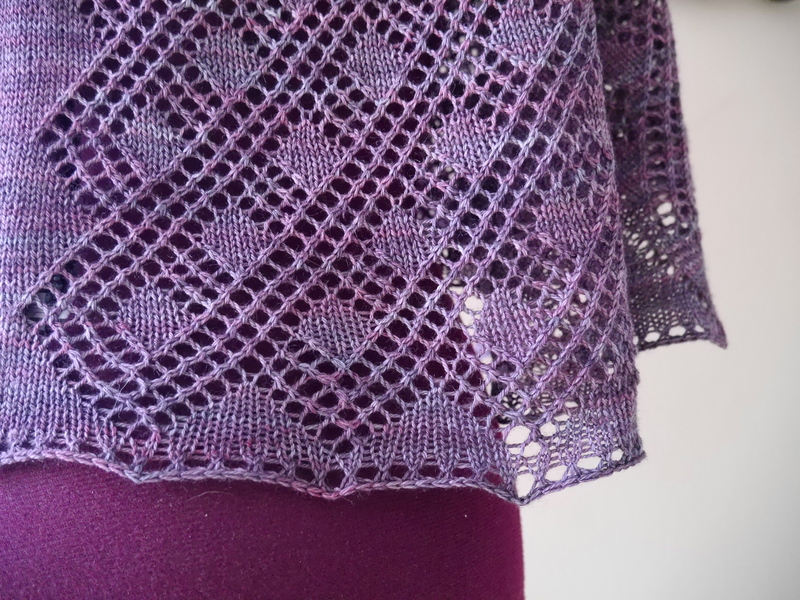 Holly Chayes » Rosmerta – a new shawl pattern! 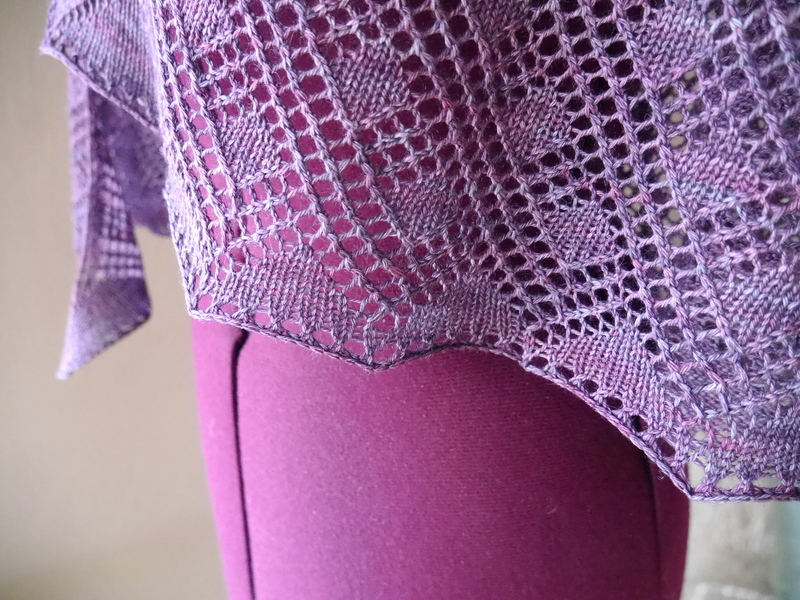 I sort of sneaked a new shawl pattern up onto Ravelry Friday morning. 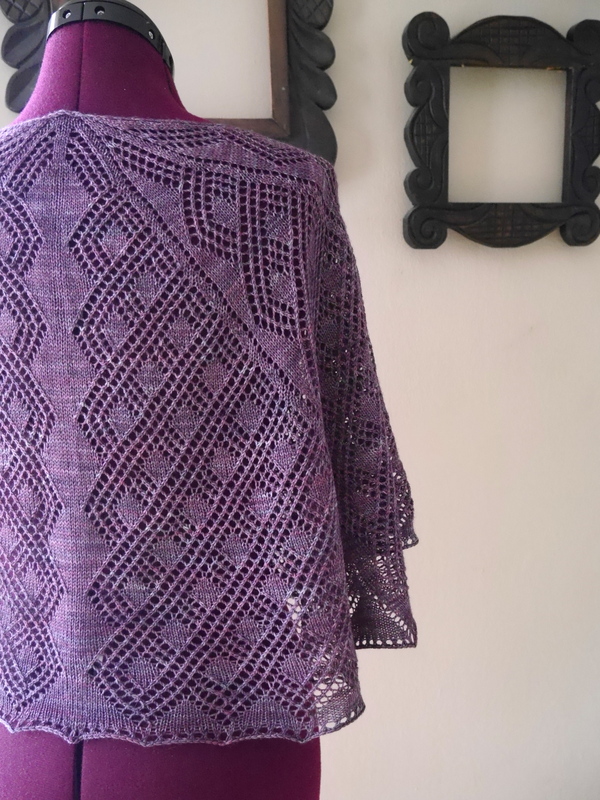 It’s a crescent shaped shawl with a mesh lattice work pattern, and knit with one skein of Julie Asselin’s “Merletto,” which is 800 yards of a beautifully plump lace weight yarn. Hand dyed yarn and complex stitch patterns usually fight with each other, and can play epic games of tug-and-war if you let them. What do you look at first? The yarn or the stitch work? With this pattern I’m calling a cease fire. The strong diamond & mesh pattern creates lace work that shines, while smooth expanses of stockinette allow the gorgeous yarn & colors to take center stage. Here’s the pattern on Ravelry. I started this pattern way back in August, and am so excited to have the pattern out to you. The name “Rosmerta” was initially inspired by the last name of everyone’s favorite Hogsmeade pub proprietress. After a little digging it also turns out to be the name of the Gaulish goddess of abundance & fertility. And (maybe most importantly) it fills “R” in my (slightly strange) quest to name shawls after every letter of the alphabet. This is also my 40th(!) 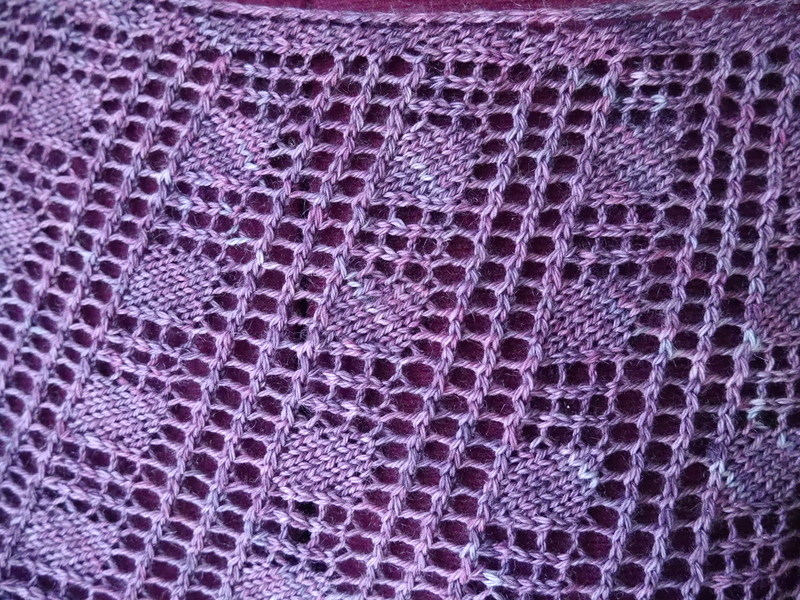 pattern on Ravelry. When did that happen?!?! All the important pattern details. Note: This pattern only includes charts for the stitch repeats. The pattern is available on Ravelry, now. 40 patterns, that is very impressive! I love this design, it is truly gorgeous. Thanks Tahnee! This might actually be one of my favorites.